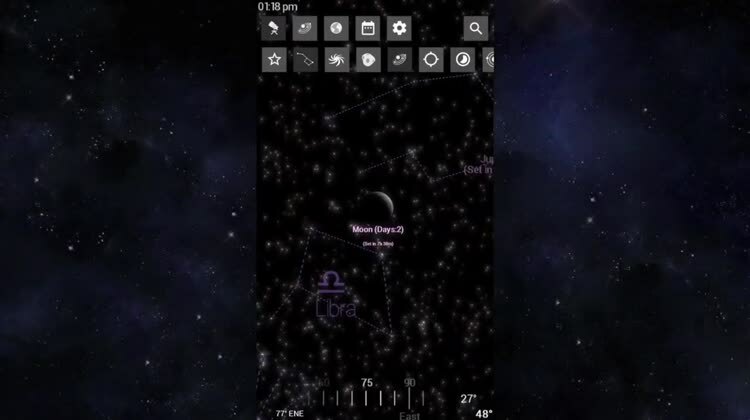 SkyORB is a decent stargazing application that utilizes a really good digital compass and a 3D interface. 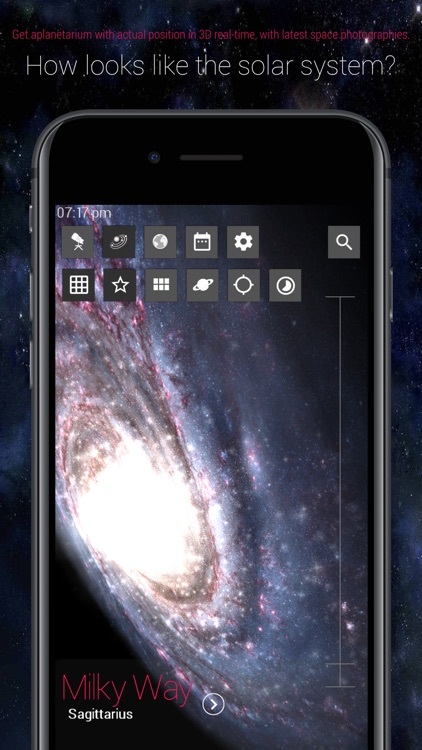 It lets you search and find stars, deep sky objects, current satellites and shuttle missions, and enables you to see the sky from any point on earth. The trial version is of course free but is stripped down in features, unless you pay for the premium version for a few bucks right inside of the app. This app seems to be riddled with bugs, and there is also no red night vision toggle, which renders it almost useless. SkyORB is a free download from the App store. 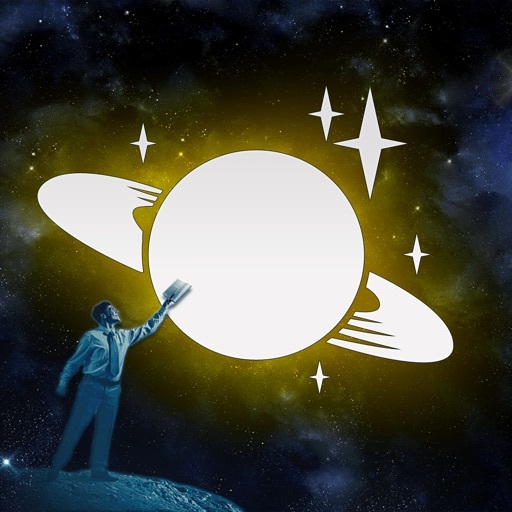 With SkyORB Lite, you receive a host of features to learn about the planets, constellations, comets, asteroids, and other objects in the galaxy. 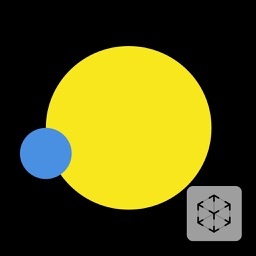 Using ARKit, the app offers real-time sky rendering with compass tracking. 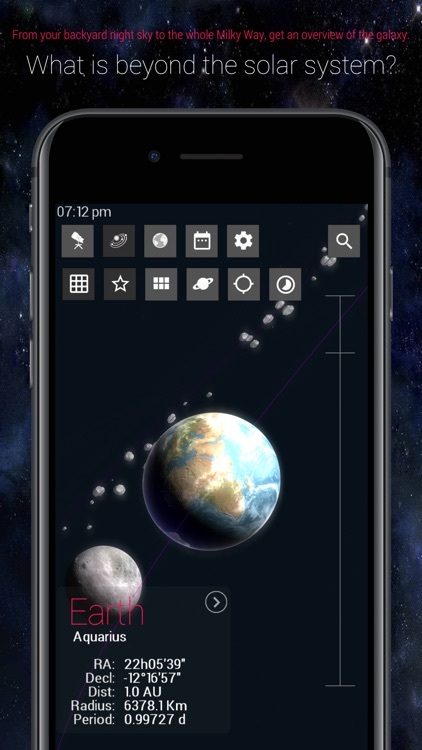 Additional features include a universal search, moon phases, a weather forecast, and notifications of cosmic events. Learning about astronomy has never been easier or more fun than with SkyORB Lite. 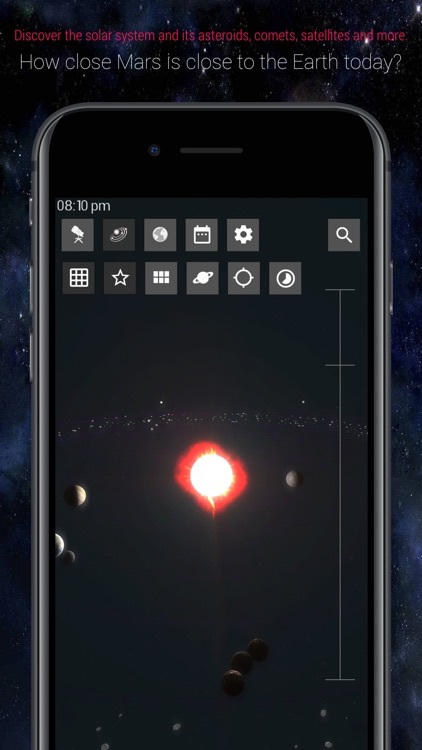 SkyORB is a fast and lightweight astronomy app including a 3D star map, 3D planetarium, ephemeris with notifications, search engine, news, sun clock, point at the sky, weather, and more. Tap “…More” to learn why you should download this App today! 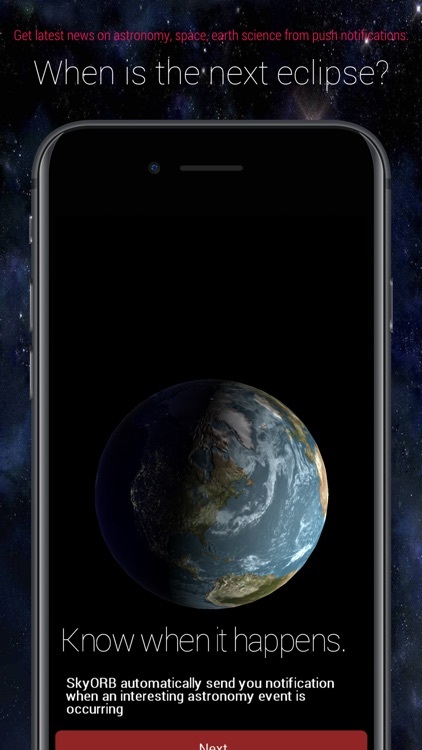 SkyORB features many functions as a 3D real-time representation of the planets position around the sun, the ability to hold your device and point toward a visible star and planet and reveal the name by tracking the GPS position, compass orientation, the elevation from the gyroscope or with ARKi. SkyORB is free to download and you can upgrade to the premium version directly from the application to enjoy even more features, as notifications and on-the-cloud backup. 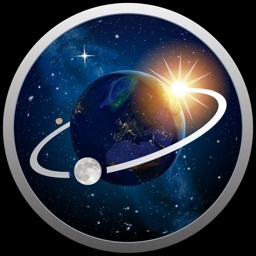 • Fast (multi-core optimized) and lightweight (<100MB), full featured astronomy app. 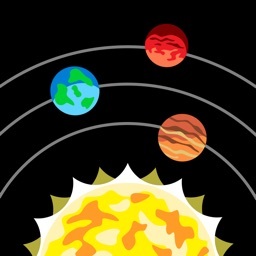 • a Zoom all the way in to the solar system, or zoom all the way out to the rest of the Milky Way in 3D. 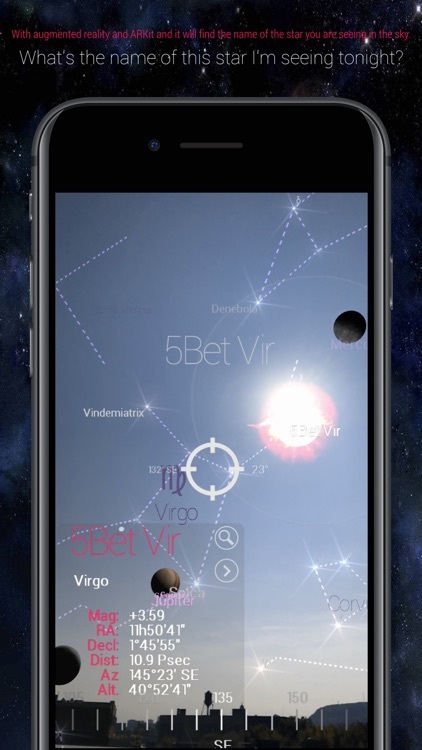 • a 3D real-time sky rendering, with tracking from compass and gyroscope, Augmented reality with ARKit support. • Comets and satellites positions, with update from the Web for latest entries, including near earth asteroids. • Personalized ephemeris including next 60 days astronomy events, including peak day of meteors showers, date of planets elongation and opposition. • Powerful universal search engine: type few letter and find a matching nebula, constellation, place, planets, space probes (Pioneer and Voyager) and more. • Be alerted when a phenomenon (planet at its brightest, full/new moon, eclipse) is occurring with local notifications. 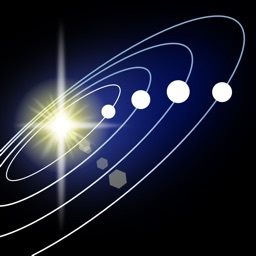 Also receive enhanced push notifications of astronomy news released in the press. 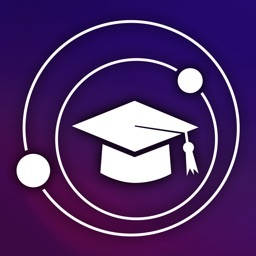 • Display more information on moon phases, ephemeris. • Easily recover your premium upgrade to all your devices connected to your account, thanks to the iOS cloud storage. • And many more features unlocked ! • Apple Watch (watchOS 2) with vocal search engine, digital crown, equation of time complication, and stand alone from the phone. PLEASE NOTE that your 12-months Premium Membership will automatically renew for the same duration and price as the one originally chosen.